Currency Manipulation: A Dilemma Or A Real Antagonist Of Declining Rupee | Business Article | MBA Skool-Study.Learn.Share. The plight of rupee is no news to anyone. But the point is we attribute all sorts of reasons to it ranging from huge current account deficit to high inflation, from stalled economic reforms to dwindling foreign inflows due to grim global economic outlook etc. But currency manipulation rarely finds a mention. Manipulation, in economic terms, refers to actions which cause otherwise stable prices to move and enable the manipulator to extract profit out of it. But ask the question, what is the first name that strikes when someone talks about currency manipulation and China would be the most probable answer. Some even argue that it is one of the major reasons for India’s sub-optimal export returns. However, there is more to currency manipulation than just at inter-country level. There are several domestic participants in the Indian foreign exchange market, the likes of hedge funds, private equity funds etc, which bet on rupee volatility and are suspected of indulging in currency manipulation at the domestic level. To corroborate this point, let’s take a look at some statistics. The average daily turnover of global foreign exchange market stands above $4 trillion which is much more than that of global equity market. According to Alpari forex, an online forex trading service provider, currency trading today globally constitutes over 60% of trading volumes and is the largest market in the world followed by commodities market and then by the equity market. Some economists may argue that the size of forex market in India is not big enough to cause volatility in the rupee exchange rate. But as indicated by the triennial Survey report of the Switzerland-based Bank for International Settlement (BIS), the daily average turnover of foreign exchange market in India in April 2010 exceeds $27.4 billion which is several times higher than that of equity market. 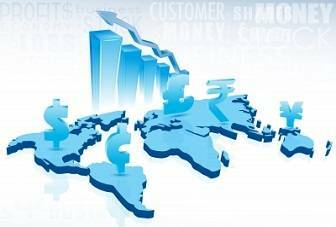 Several analysts are of the view that currency trading, which includes spot transactions, outright forwards, foreign exchange swaps, currency options & currency swaps, will lead the Indian Financial Markets in the days to come. On 29 July 2011, India’s exchange rate stood at Rs 44.19 to the US dollar. By 15 December, this had fallen to Rs 56.60, a depreciation of 28%. On 16 February 2012, it rose again to Rs 47.06, an appreciation of over 15%. By 20 June 2012, it was down again to Rs 57.14 to the dollar and presently hovers at around Rs 55.52. This has often led to the charge that when there are such sharp oscillations in prices—irrespective of whether the underlying entity is exchange rate or any other commodity like gold—they are likely to have been caused by deliberate actions of few persons or firms i.e. by market manipulation. This volatility is much too high to be attributed to just external factors & has led to serious suspicions about the presence of currency manipulators in the Indian forex market. But the question that still remains is whether it is actually possible to manipulate a market as big as this. Straightforward economic reasoning can’t explain how this is possible. Dr Kaushik Basu, Chief economic advisor to the Govt. of India, in his recent paper shows that it is possible. Dr Basu writes that a market suitable for a manipulator is one where there are several small firms & few large strategic firms. He says that such a market can be easily modeled by extending the standard cournot model where small firms act as price taking agents which are generally individuals & tourists with modest turnovers who buy and sell forex (either directly or through bureaus at exchange) without any hope of affecting the currency exchange rates while the bigger ones act as Cournot firms having extremely high turnover like the 99 member banks of the Indian forex market regulator, Foreign exchange Dealers’ Association of india (FEDAI) etc. Using the application of Cournot oligopoly game, a manipulator organizes his strategy in two periods. In period 1, he uses the buying strategy to estimate the net demand for dollars in the market & buy the maximum number of dollars which can be bought without altering the exchange rate. But the point to note here is that by doing so, he has shifted the equilibrium to the tipping point. Any smallest activity of buy or sell would move the equilibrium exchange rate up or down. It can be empirically proved that the net demand for dollar in India is often positive. Therefore, in normal circumstances where the exchange rate has not peaked, the cournot equilibrium price shifts upwards as a result of several individual transactions (since smaller firms operate independently & do not have the market power of altering the exchange rate by adjusting & timing their transactions unlike their bigger counterparts). In period 2, say following a month, observing the equilibrium movement & assuming everything else remaining the same, the manipulator now uses the selling strategy & manages to sell off all the dollars he bought at higher prices thus making huge profits. The regulators, especially in emerging economies, have very little understanding about how manipulators game others & hence have not been able to deal with the situation adequately. Dr Basu mentions that inadequate understanding of manipulation is a major roadblock in effective policy formation as it often leads to common mistakes. The regulations devised may be too imprecise that manipulators can easily circumvent them or so severe that they inflict a collateral damage on legitimate activities in the market jeopardizing transparency & hence investor confidence. By means of this paper, he intends to reveal the art of market manipulation so as to educate the regulators across different markets (forex, equity & commodity) to first deeply understand & acknowledge the presence of manipulators as this is something which involves a high level of sophistication & deep pockets and is not as straightforward as it appears to be. The next step would be to devise regulations which actually tackle the root cause adequately. He shows the kind of policy issues that can open up by taking the reference of the futures market. According to him, since the manipulator somehow needs to reflect his future plans to buy or sell dollars to market, imposing requisite restrictions on futures trade in currency may neutralize manipulators’ leverage. But given the other valuable functions of futures market, any decision must be backed by solid reasoning. The RBI has shown rational thinking in this direction by recently imposing limits to overnight open positions as well as intra-day positions held by dealers in inter-bank forex market. In addition to this, the regulator has also stipulated that forex positions in the inter-bank forex market cannot be netted by undertaking positions on stock exchanges & vice-versa. These broad level checks signify that the central bank also concurs with the argument presented in the paper but they are not the destination. The paper also opens up further questions like what would happen if multiple manipulators enter the market or what if they don’t use the futures route in their strategy. These issues should lay the foundation for follow-up research, the answers to which should culminate into adequately stringent & transparent regulations which would be in best interests of the investors. This article has been authored by Abhay Agarwal from NMIMS.